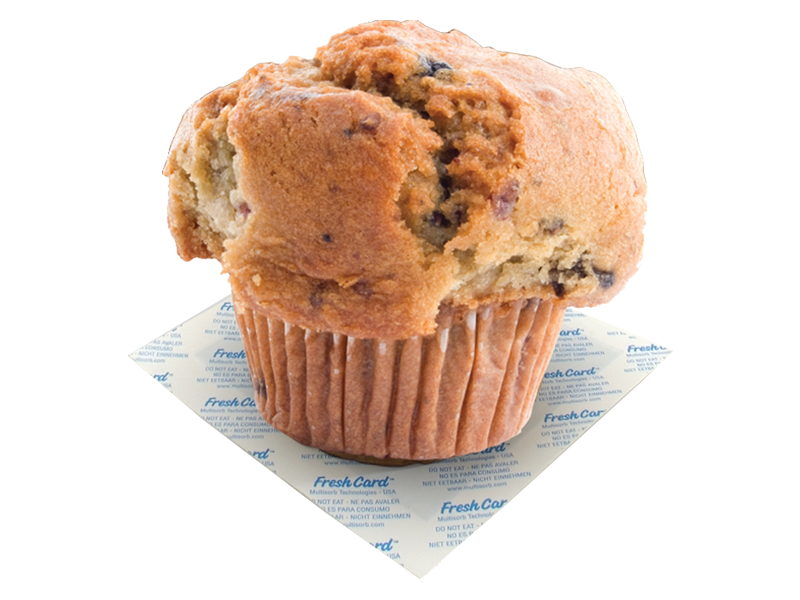 FreshCard oxygen absorbers for food enable you to maintain active atmosphere modification within your package that minimizes the rate of spoilage and increases shelf life. Satisfy your customers and reduce shrink by eliminating need for preservatives while maintaining freshness and color for longer periods. 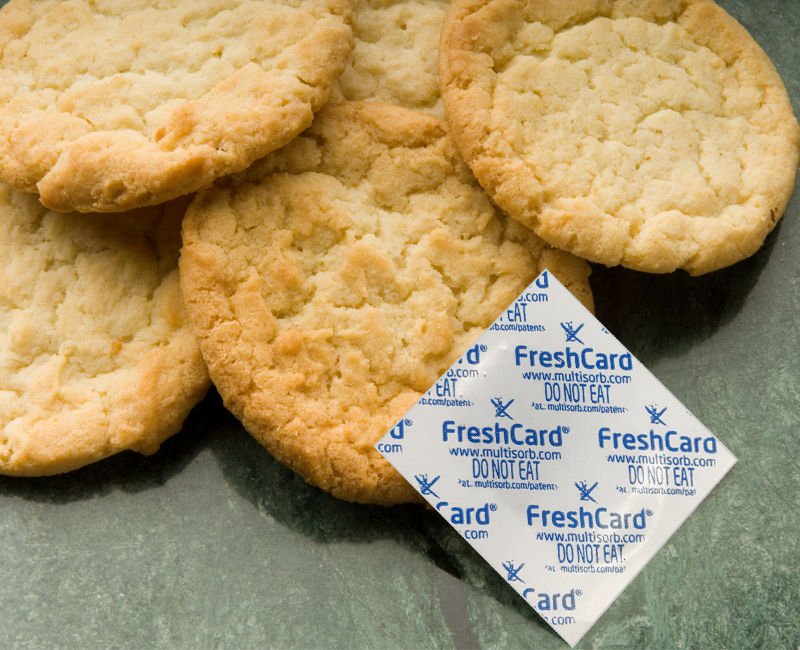 FreshCard extends the shelf life of oxygen sensitive foods by inhibiting the growth of mold and aerobic microorganisms. 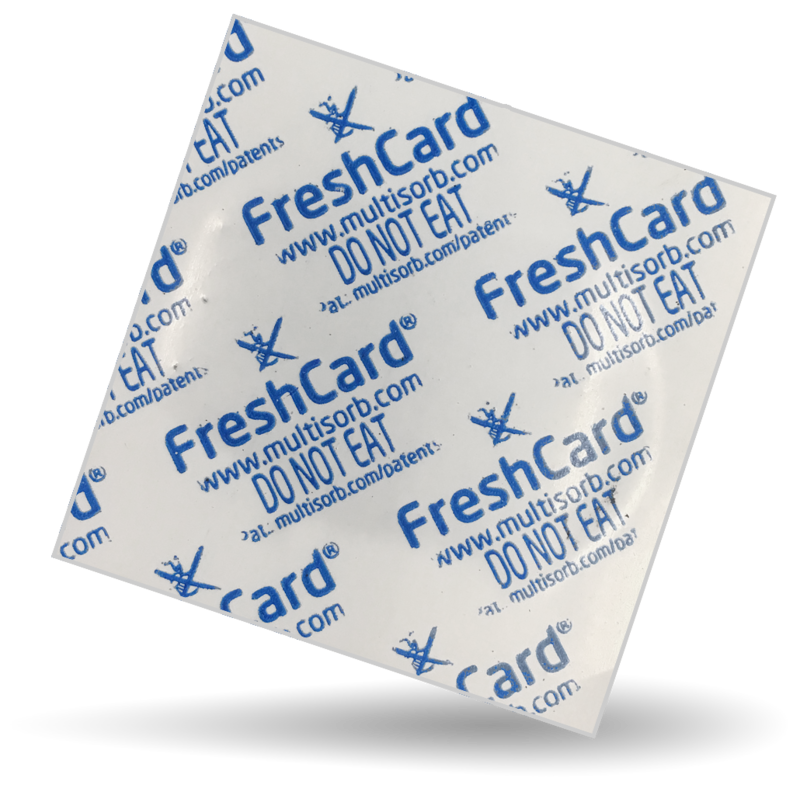 FreshCard complements or replaces the use of gas flushing/vacuum packaging, FreshCard also doubles as a support card that can be cut and sized for your application, allowing you to use a single package component to do the job of two. A solid lay-down process gives these cards an extremely flat profile and prevents the active material from spilling out, even if the card is cut accidentally. Deliver added marketing opportunity within your package by custom printing card to communicate promotional information.